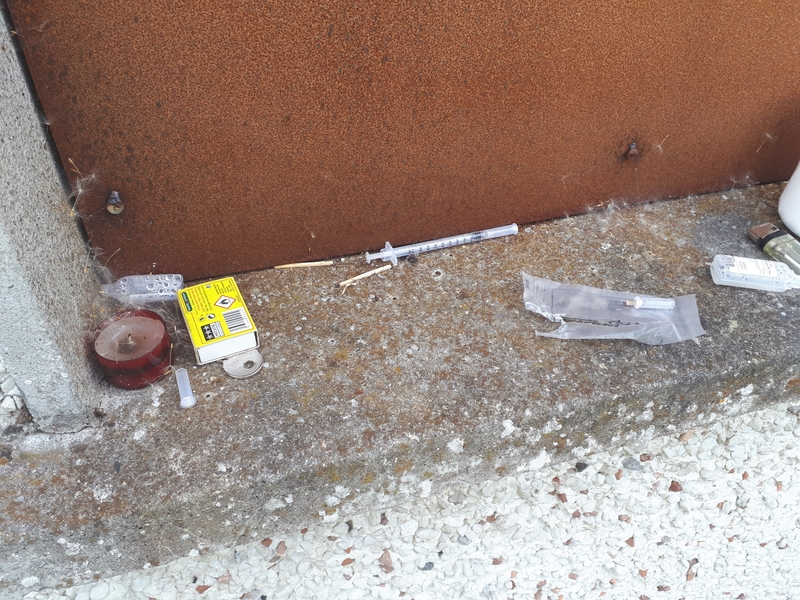 Furious parents living in one of Longford town's largest residential estates say they are terrified to allow their children outside owing to these shocking images of used needles and heroin kits being left discarded just yards from their front doorsteps. 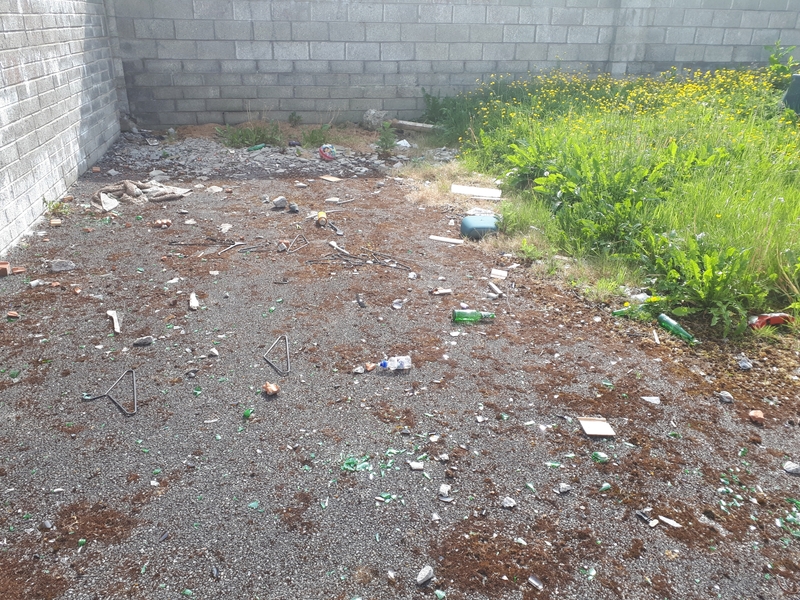 The disturbing find was discovered at a vacant house in Grian Ard, Ardnacassa, earlier this week by angry mother of two Amanda Fennell, who lives just two doors down from where the various drug paraphernalia is dumped. Ms Fennell said she has been left outraged by the apparent evidence of brazen drug taking and dealing in what is one of Longford town's most heavily populated areas. "It's disgraceful," she stormed, when interviewed by the Leader earlier today. "You shouldn't have to pay to live beside the likes of this. What happens if a child prick's his hand with one these things, what then?" It's not the first time Ms Fennell has raised the spectre of drug fuelled activities taking place in the estate. Two years ago, she went on RTÉ's 'Liveline' to highlight her displeasure at how heroin addicts were using a vacant house to meet and exchange needles. Despite difficulties encountered by local authority chiefs to track down the property's owner, a kind hearted local builder agreed to secure the house by boarding up its front door and windows. Now, it would appear the problem has returned with Ms Fennell taking aim at a recent letter sent by local Superintendent Jim Delaney to local councillors which suggested anti-social behaviour issues in the area were not being reflected in reported incidents. "And then you hear people saying there is no anti social behaviour? "You don't even ring the guards anymore." Ms Fennell, who purchased her semi detached home 13 years ago for €110,000, said she been left helpless while being cognisant to the fact that she must keep up with her €490 mortgage payments each month. The Leader examined the scene earlier today and observed more than a dozen used needles, broken bottles and empty condom wrappers. At a similarly boarded up house across the road, a stained mattress, together with floods of broken glass lies strewn across its empty driveway. Ms Fennell said the scale of the problem has deteriorated to such an extent that she has witnessed middle aged men wandering to the back of the house to shoot up within metres of her teenage children. "They are all ages and all nationalities that go in there," she said. "There is a 40 year old man who looks to be foreign and he sits on the wall and will go in and out. They don't even hide it, that's the thing. "I understand people have addictions but there is absolutely no need for that. "To me this is a health hazard to all the kids in the area." The Leader also spoke with Ms Fennell's next door neighbour, Glory Osunde. The Nigerian born mother of four lives adjacent to the boarded up house at the centre of the controversy, but seemed blissfully unaware about the drug taking activities that has been going on within yards of her front door. Like Ms Fennell, she told of how she witnessed several individuals congregate at the back of the boarded up house, adding that some had also attempted to intimidate her by shouting obscenities. "They throw stones at my car and when you tell them to stop they say nasty things like f*** off," she said. Ms Osunde said despite reporting the matter to gardaí and the local authority, she and her family had been made to feel like prisoners in their own homes. "I just have to close and lock my door. Even my kids can't go outside when these people are on the street. "I have called the guards but nothing seems to change. I don't know what to do now. Asked if she wanted to relocate to another area due to the underhand activities that were taking place next door to her, Ms Osunde was unequivocal in her response. "I would be very very glad to leave because even in the holidays we can't leave the home. If they (unnamed individuals) don't see the car here for two or three days, I just know they will break everything. It's terrible." Local Cllr and chairperson of Co Longford's Joint Policing Committee Gerry Warnock slammed the unease local residents were having to encounter, adding it painted a disturbing picture of the area's wider societal problems. “First of all its shocking to see these photographs and it’s indicative of the extent of the antisocial problems being landed on the laps of ordinary decent people in the Ardnacassa area," he said. 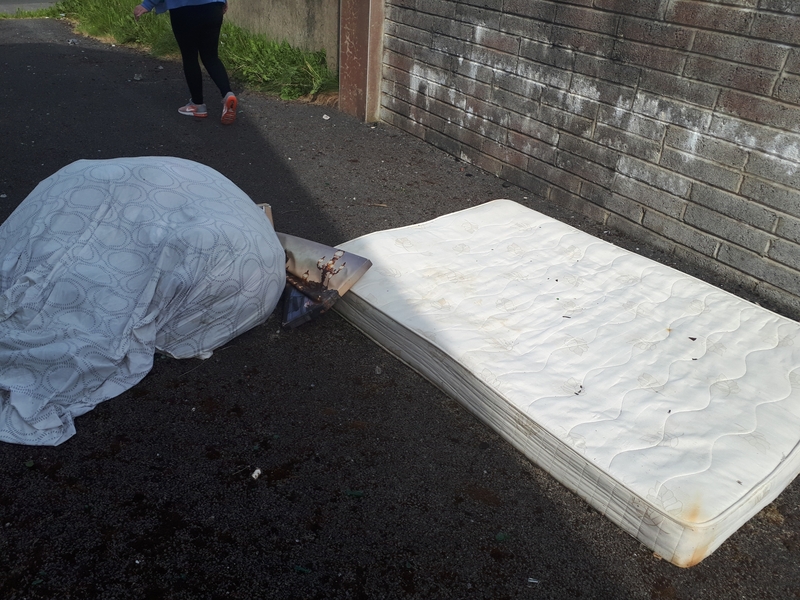 After being shown images of the drug-related litter, Cllr Warnock said he swiftly contacted members of the Council's Joint Task Force, a body set up to address issues solely relating to the Ardnacassa area. "I’m reliably informed that this particular unit is on the Programme of Works for a refit which is due to commence shortly. This house will be made habitable and allocated to a needy household and that in my opinion is the best security against a continuation of the problems that Amanda (Fennell) has been experiencing for too long," he said. "I have also contacted our Housing Department who are going to arrange an immediate cleanup of the drug related paraphernalia."